Insulated Swivels and Fittings - Unirope Ltd. 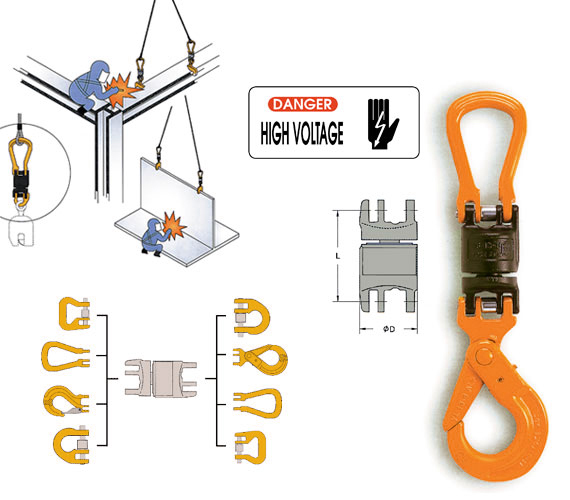 The perfect system for universal coupling of components to chain, wire rope and Twin-Path®. All IBS Swivels are individually tested during manufacturing to assure insulating properties. A Test Certificate is packaged with each unit shipped. IBS Insulated Swivels are designed with ball bearings, which perform to fully swivel under load. Grade 80, forged alloy steel, heat treated. Ball Bearing Swivel, insulated to 1500 Volt, DF 4:1. The Following items are available upon request. WLL 5.4 ton Eye Short.